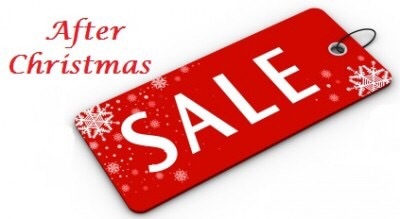 Most people know that after Christmas everything goes on sale. It’s one of the best times of the year to shop! If you decide to, these stores should be on your list. Macy’s Almost everything is 75% off. My stepmom just scored some awesome headphones for my brother for only $6.25! Soma Everything is up to 70% off. Aeropostalé Their winter sale is still going on which means $11 sweatshirts/pullovers, $5 T-Shirts, etc. Sephora has a 50% off sale on their best beauty products such as Urban Decay, Donna Karan, Clairsonic, and Benefit. Forever 21 has 75% off of so many cute items! I almost got a super cute cut out crop top online (FOR $5! ), but it was sold out. Bath & Body Works is having their semiannual sale, which means everything is about 70% off. That’s all that I’ve seen for good sales. If you have any suggestions, comment the store and why so I can add them!